"ATHENA-Goddess of Wisdom" - Women's ways of leading have become the gold standard for great leaders and the building blocks for success in today's global economy. It was five years ago that the Chamber Board and President approached the ATHENA organization in the hope that the League City Regional Chamber of Commerce could be the area leader in this program. 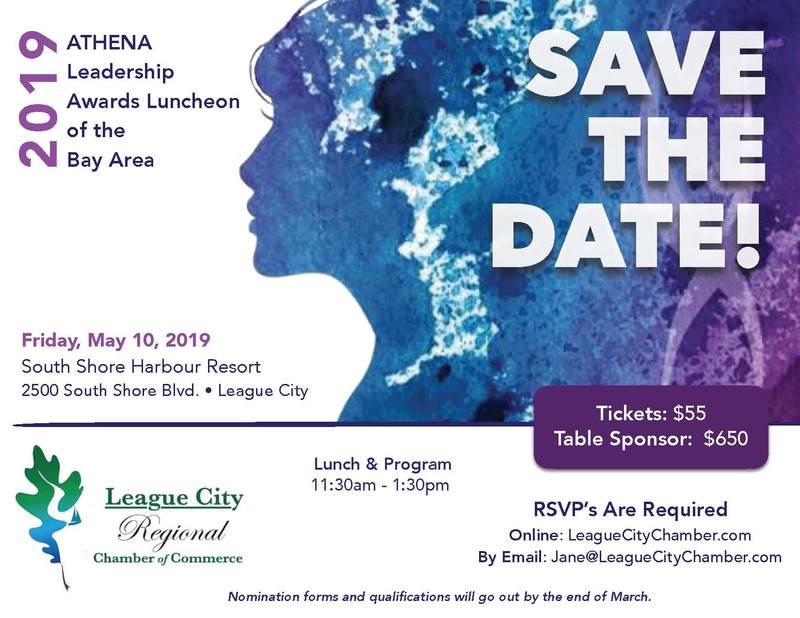 The ATHENA Leadership program serves individuals in up to a 90 mile radius from League City for this honorable program, so no other Chamber or organization can host this event. ATHENA award programs have participated in more than 500 American cities and six foreign countries.